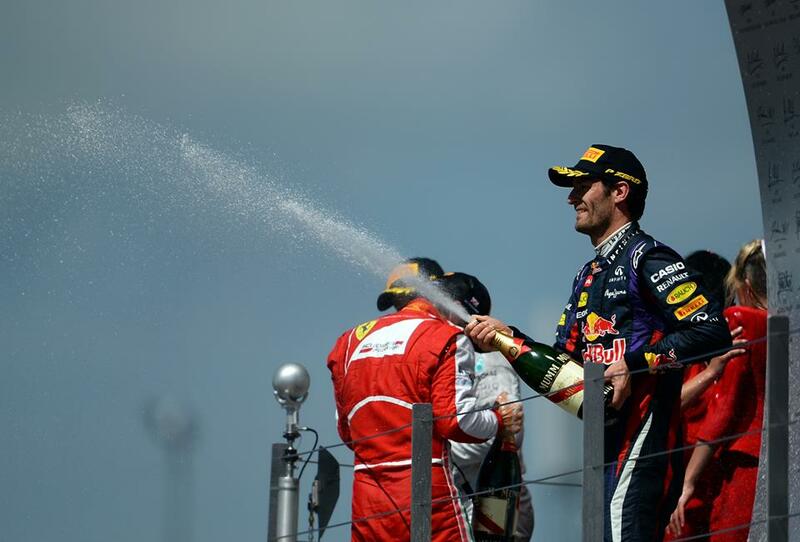 Sebastian Vettel: "Obviously it's quite disappointing to retire when we were only a few laps from the end. We had a gearbox issue, I think fifth gear broke and damaged the rest of the gearbox as well, so it was not possible to carry on. It's a shame because we were in a good position and it's a nice race to win here, so yeah I guess we have to come back next year and try again. It's good that it's only a short time until the next race." Christian Horner, Team Principal: "Obviously to get within 12 laps of winning the race and have a retirement due to a transmission issue is pretty painful, particularly at this venue, but Sebastian had done everything right today and it was a great shame. For Mark, after a difficult start and being hit at the first corner, he made a great recovery with a good nose change from the guys and his drive from then on was fantastic. He got his head down, charged his way back through the field and came pretty close to claiming the victory, but nonetheless second place was a great performance from him on a big weekend for the team." Thierry Salvi, Renault: "In races like those, sometimes you have no luck and other times you make your own. We seemed to have both cases today. Mark drove a phenomenal race, coming back from down the field, and could have won for a third time at home if the race had been a lap longer. 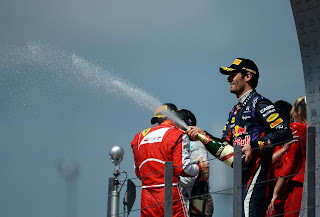 Seb deserved more, but sometimes that happens. We've got another race in one week so it's now back to work to keep the gap we have at the top of both championships."